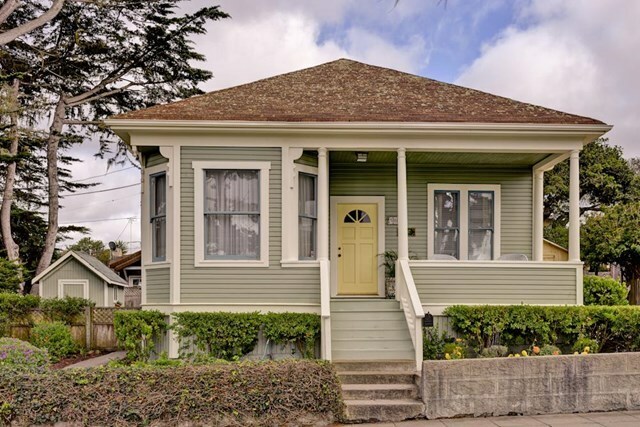 Fall in love with the timeless beauty of this vintage Pacific Grove Victorian. A true charmer in mint condition, you will appreciate the 10 foot high ceilings and bright windows which create an open and inviting interior, including formal parlor, dining room, large kitchen, bath and laundry room with ample storage. Enjoy sitting on the front porch (with peaks of the bay) and talking to your neighbors as they walk by. Situated on a double-lot with sizeable side yard, this attractive three-bedroom home is in an ideal location to fully enjoy living in this lovely coastal town! Directions: From Pine Ave., turn up 12th Street. Turn Right on Spruce, then left on 13th.